"The French Championships take place in the Vendée this year, on a course that should suit me, so who knows… But of course the Tour de France is the main goal again." The way to the Tour goes along Tenerife or the Sierra Nevada. Since more than ten years, riders who want to set a good result in July do an altitude training camp. For Tim Wellens it’s his first experience in the south of Spain, Tony Gallopin is here for the fourth consecutive year. Earlier this year they went to Tenerife to prepare for the Ardennes classics together; now they are staying in the Centro de Alto Rendimiento (CAR) for seventeen days, with among other Lotto Soudal rider Bart De Clercq. The CAR has to be the best for a top sportsman who works towards his goal. Sleeping on an altitude of 2320 metres, sober but descent hotel accommodation, an athletics track, an artificial turf football field, an Olympic pool, an indoor hall, cycling in the mountains or in the valley; all facilities for tens of sports are available. And of course a buffet for the guests, without the all-day temptations. “I like it more here in Sierra Nevada than in Tenerife; all is made for the sportsman here," Wellens said. "Beforehand I had heard some stories about how dull it would be here, but it has been fine so far. It’s nice to see how top sportsman and –women from different disciplines prepare for their goals in the same place. When I get up at seven and the swimmers are already doing their laps in the pool or when I see the women’s cyclists who have meagre wages and still invest in coming here then I admire that. 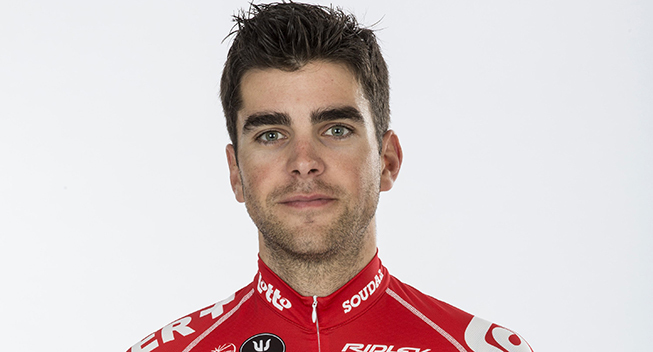 “After the Ardennes classics I took some rest and went to the south of France with the family for a week," Gallopin said. "This is the fourth consecutive year that I come here in this part of the year. That way I’m building up towards the Dauphiné, the French Championships and the Tour. The Dauphiné will be my first race after this training camp and is not a goal itself. It’s a beautiful race on a high level, but most of the time I need a few days to grow. The French Championships take place in the Vendée this year, on a course that should suit me, so who knows… But of course the Tour de France is the main goal again.